BULLHEAD CITY–The Bullhead City Fire Department is partnering up this year for the tenth annual Arizona Game and Fish Department’s life jacket exchange program on Saturday, May 19. The event will take place from 10 a.m. to Noon at Bullhead City Fire Station #2, 1230 Highway 95. Representatives from both agencies will be on hand to swap out resident’s old, worn out if jackets for new ones. The jackets being accepted must be Type III. Types I and II will not be accepted. All sizes will be available until supplies run out. When inspecting life jackets, look for any rips or tears, missing straps, broken fasteners, and to ensure that the flotation hasn’t shifted, said added. Based on observations from AZGFD’s boating education program, life jackets should be inspected each boating season due to the environment’s impact on their materials. 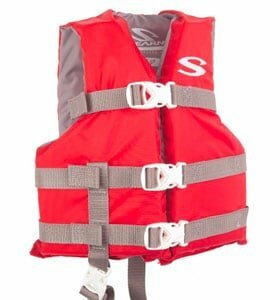 In addition, state law requires all passengers 12 years old and younger to wear a life jacket while on board and each passenger must have a properly fitting, U.S. Coast Guard-approved life jacket available. For more information about boating in Arizona or to sign up for a free safety course, visitwww.azgfd.gov/boating.